Miami is a popular resort with dozens of different cafes and restaurants. 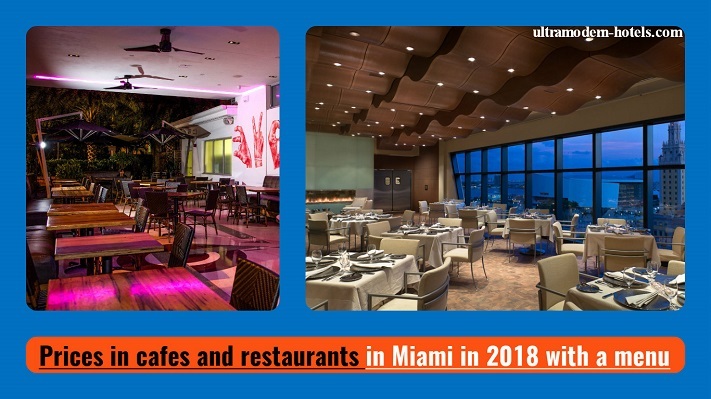 In this article, we will review prices in cafes and restaurants in Miami in 2018 with a menu. Below is a menu in restaurants in Miami with current prices for 2018: drinks, sodas, coffee, tea, small plates, entrees, soups, salads, pizza, wines, juices, beer and desserts.